This is the final book in the Corine Solomon series, and it brings the story to a very satisfactory conclusion. After a great deal of struggle, Corine gets exactly what she wants: a normal, picket-fence life with the man she loves. Ann Aguirre is one of my favorite authors, and this series (all five books are well worth reading) plays to her strengths: worldbuilding and character growth. Both Corine and her lover, Chance, grow and change throughout this series, and put the demons (literal and figurative) that dogged them in the first book to rest. None of this comes easy; the final triumphs are ones they have definitely earned. It's sad to see them go. 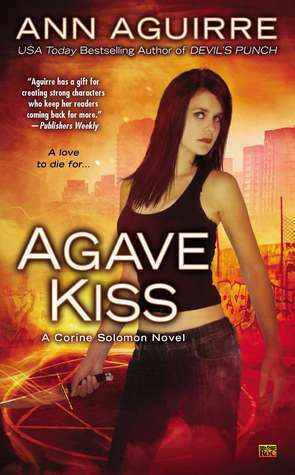 Sign into Goodreads to see if any of your friends have read Agave Kiss.